Questions asked of me that I thought may help others looking for answers on how to get into the UX field, what it consists of, and how I stay sane. I was asked these questions on StackOverflow and thought it may be helpful for those looking for answers in how to transition in a UX field, and wanting answers on what UXers go through on a normal day to day basis. Hope this helps! I don’t like really like my current job given some personal issues, but I do love my clients. I love the connection and being able to answer their questions, and bring their visions to a reality and allow them to see that anything is possible. 2. What do you like least? What I like least about my current job, is the lack and excitement of internal learning adoption. For three years, I have been trying desperately to get them to understand that UX is not graphic design (uxisnotui.com seems to help). The clients are actually more receptive than a big organization that is used to just getting the bottom dollar. That’s why I loved working for myself, and encourage anybody you can to do that, but instead I usually just try to encourage people to find jobs I have the same values as they do. 3. Have you ever used Drupal? Because I am more so of a research strategist, and a designer, I do not use Drupal, but I am familiar with it. I am only looking to leave if we can’t agree on our values, but it’s mostly reasons stated in question number two. Also because they are more so concerned with getting the job done sometimes, and sales and the bottom dollar (which isn’t a problem, but just doesn’t fit in with my personal values) than actually depending upon the health of their employees. So it’s a culture mismatch, in ones that I’m trying to change, with hopes that that might actually happen. 5. What are you looking for in your next position? In my next position, if I do not end up working for myself again, I’m looking for a culture match, one of the values work/life balance, and also challenges me daily, and supports my passions as well as theirs. Since I speak on a semi-regular basis, and I also have side projects of my own I can be’s will for the company, I want a company that likes people who think, so that’s what I’m looking for. 6. What do you like about UX? What I love about UX the most, is the fact that I get to actually be a fly on the wall. I get to understand companies and products and services that I normally wouldn’t run into in my daily life. So it teaches me the art of being interested, as well as helps me to learn how to listen and to be a better consultant in a better helper especially given my INFJ Myers-Briggs personality type. 7. What don’t you like? I really don’t think that there’s anything I don’t like, except for when people misunderstand that UX is only creating design. 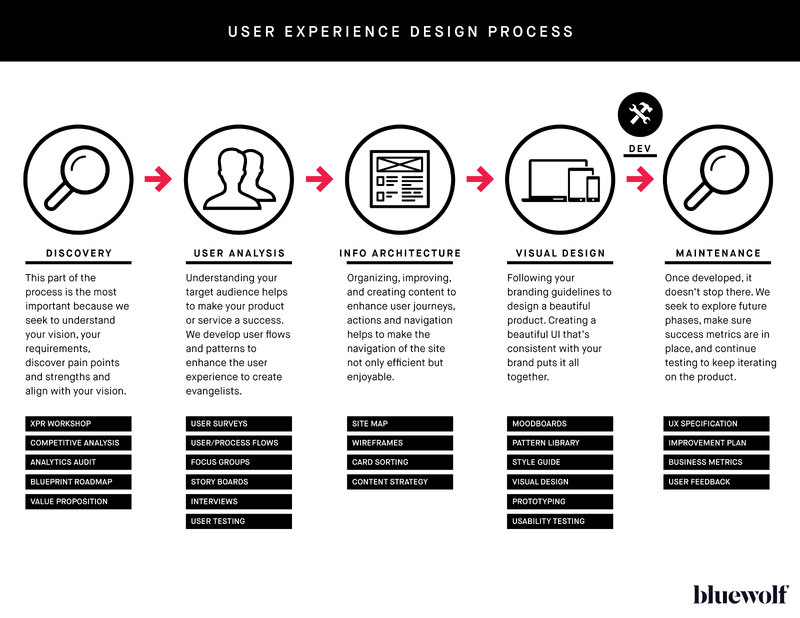 So I usually have to end up explaining my UX methodology, which is below, but even with that I still love that I get to educate someone else about what you ask UX truly is. What I like to do outside of work is actually create. I love making beef jerky, I love working with wood, I love hacking on the Internet, (whitehat of course, I love reading books, I love speaking at networking events (next engagement is at the RailsConf 2016 as a http://railsconf.com/program/keynotes ) and I am also an author/writer. I just wrote a book called Muted Nation, that can be found here: bit.ly/mutednation. 9. What is your favorite development platform: Mac, Windows, or *NIX? I’m don’t consider myself a developer, but if I were to choose one, it would definitely have to be the Mac, or Linux platforms. I just think that they are more secure, and have a lot of offerings that the Windows platform doesn’t necessarily provide as of yet, even though I don’t have anything bad to say about Windows. 10. Are you a US citizen, or otherwise eligible to work in the US? 11. What are your salary goals for your next position? My salary goals for my next position, are to be able to match what a big one of the top 5 companies you want to work at the world, who I won’t say…. offered me 3x my salary, tons of shares in their profiting company, work relocation, and an offer to pay for my much needed shoulder surgery at the time. So I’m hoping it’ll be a good range of 6 digit salary with incentives and bonuses for the hard work of bringing in clients, which is only set up for the Sales team at my company. 12. Do you like working remotely, prefer the office, ever want to relocate? I have always been a remote type of worker. And I also don’t mind relocating, as long as I can come in at most three times a week (and that’s due to disabilities that I have which include but aren’t limited to: fibromyalgia, Autism 1 — Aspergers and High IQ, and dysautonomia). 13. Do you like web site, web app, or mobile app design the best? Why? I would have to say that I love mobile app design the best, because it challenges me to create meaningful useful data in a small space, and because our society and our culture is moving more towards mobile based solutions and smaller devices, I think it’s challenging and perfect for where I’m trying to go. While I still love websites, and always encourage the client to pay the extra for responsive design in my designs and wireframes, I still really get excited when I get to work on mobile project. 14. What tool do you use to create wireframes? Axure used to be my go to tool. But I find myself working more and more in Photoshop and Illustrator, just because of what I’m able to do, and I found great freebies to help get my ideas out quicker, and taking that step away from having to create recreate my wireframes to a development ready pixel perfect developer ready file. I use InVision for prototyping, which helps me to cut out some of the work that I would normally have to do in teaming up with a Technical Architect and writing a technical specifications document, so I find that using Adobe programs have been easier for me although I am in the process of transitioning to Sketch since that’s become the new kid on the block. 15. (I added this) Any other advice? Anyone else have questions or something to add? Don’t hesitate to ask me at get@chanellehenry.com or subscribe to my newsletter. And please don’t forget that little heart below to show your love please! CLICK THE HEART BELOW AND I’LL LOVE YOU FOREVER. I PROMISE.